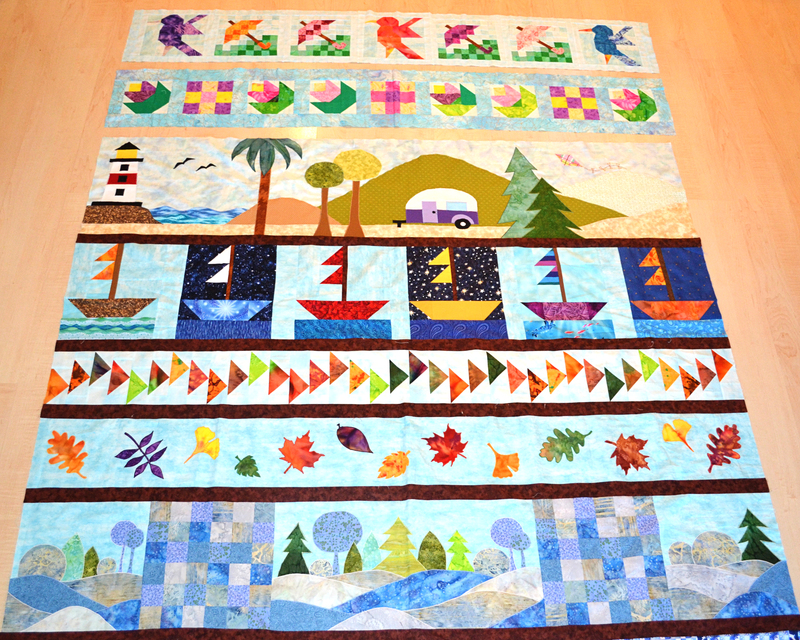 Our quilt group has been working on our Row By Row quilts for some time now. I did another row for my dear friend Ellie. The first one I did was back in March of last year, a winter row. Ellie’s theme is “Seasons”. This time, I did a summer row. 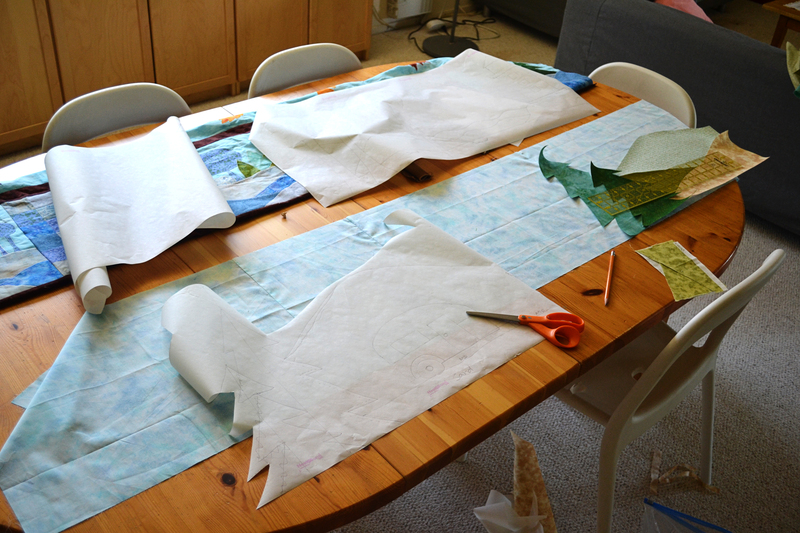 There is an order to my madness/messiness… So glad for my studio – now I can spread out and have fun! I hope Ellie likes it. Now on to finishing my own row by row.